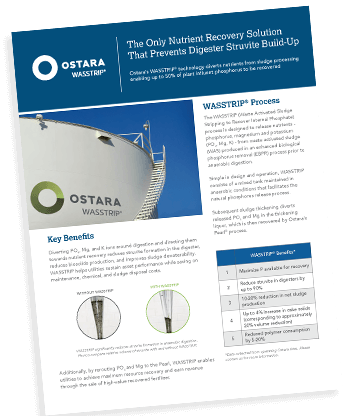 You remove phosphorus to meet your effluent limits and protect local waterways from nutrient pollution, but now you’ve got a new problem: struvite. 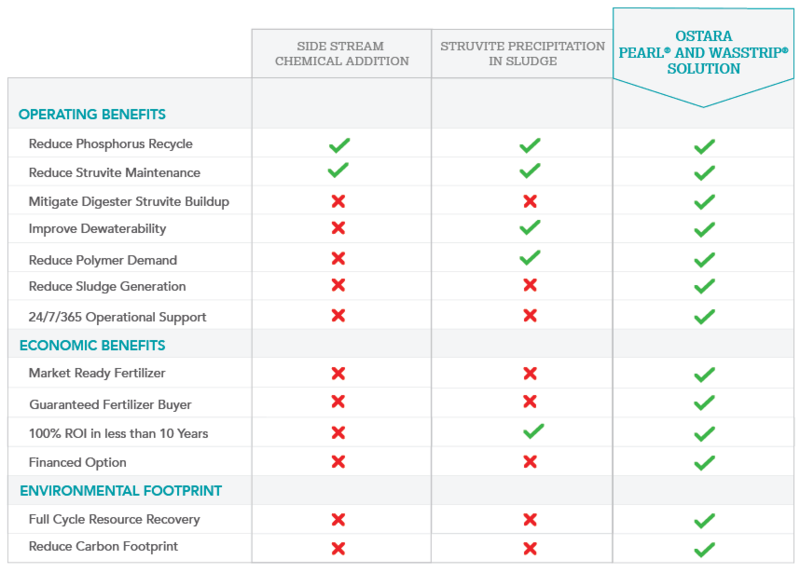 You could use chemicals, but they’re expensive and increase sludge production. 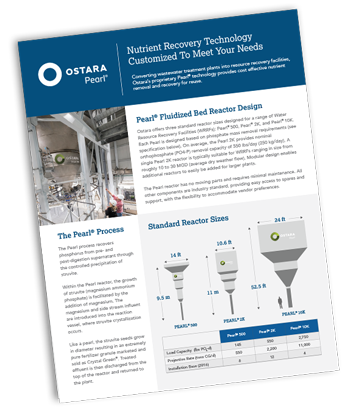 We don’t just solve operational and regulation issues, when you partner with Ostara you partner with your community, your farmers and your future, recovering a valuable resource – phosphorus fertilizer – for reuse. 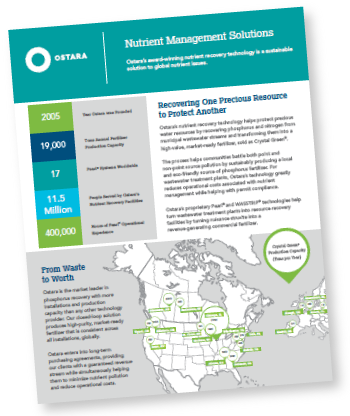 The best part is, we manage everything from warehousing and supply chain logistics, to agronomy research, branding, sales and distribution, guaranteeing you a revenue stream without any of the overhead or hassles. Welcome to the future. 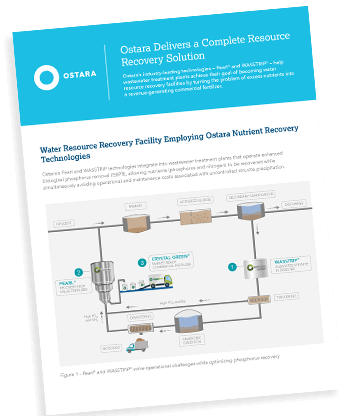 Ostara offers a revenue generating, closed-loop solution. 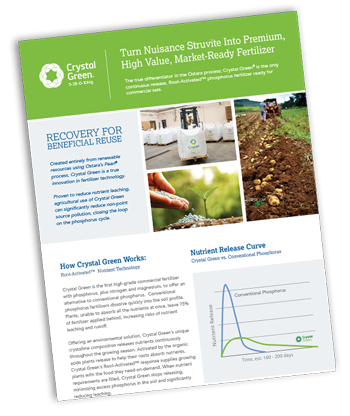 Capital costs are recouped in 5-10 years, through annual savings in chemicals, sludge disposal, maintenance, and revenue from Crystal Green sales. 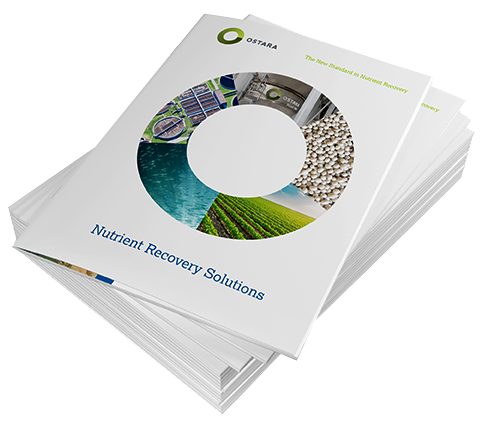 As the global leader in nutrient recovery, we deliver a complete, nutrient recovery solution package.